α-Acid glycoprotein is an acute-phase reactant that becomes markedly elevated in serum during inflammation and has an immunosuppressive effect on lymphocyte fonctions. Patients with collagen diseases had significant increases ofα1-acid glycoprotein in their serum and on the surface of peripheral leukocytes compared with controls. The levels from patients with rheumatoid arthritis were higher than those from patients with systemic lupus erythematosus, mixed connective tissue disease, and Behçet's disease. In patients with rheumatoid arthritis, the value of serumα1-acid glycoprotein correlated with disease activity. Among leukocyte subpopulations, monocytes showed more α1-acid glycoprotein on their surface than polymorphonuclear leukocytes; and lymphocytes. The cell surface expression ofα1-acid glycoprotein on cultured monocytes surface peaked after 48 h. Interleukin-1β and tumor necrosis factor-α stimulated the production of α1-acid glycoprotein RNA message in peripheral blood mononuclear cells over 18–24 h during cell culture. 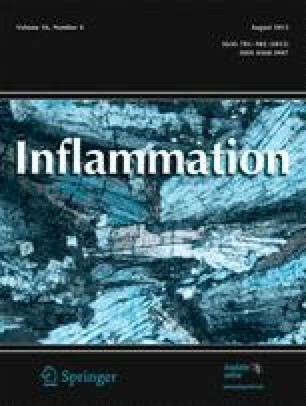 The results show that serumα1-acid glycoprotein reflects systemic disease activity in rheumatoid arthritis. Furthermore, monocytes may serve as a source of production ofα1-acid glycoprotein.